@Mayzin and @austinmarctr deliver their 3 track EP SUMMER BREEZE. 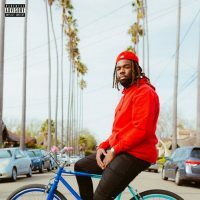 The Oakland vocalist and emcee rides the Harlem producer’s wavy and eclectic beats while discussing the trappings of a young artist struggling to find the motivation to sacrifice it all for a career in music. He knows he’s incredibly talented, and has something to say, but sometimes the world takes a minute to catch up, and labels are shady af mostly. SUMMER BREEZE is a smooth EP that vibes perfectly with this time of year. Check it out above.